We will not be running the Passport Program for 2018. Stay tuned for further developments. 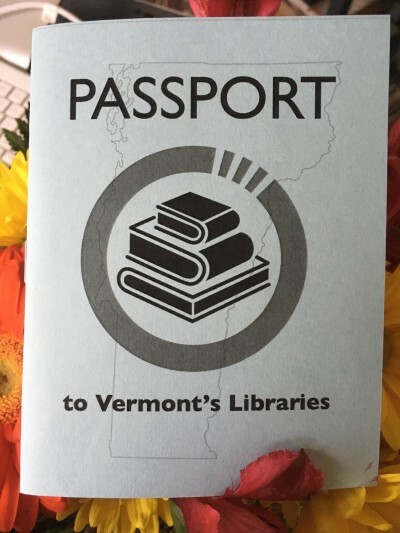 The Vermont Library Association Passport to Vermont Libraries Program historical information. The program is ran over the summer at participating Vermont public, school and academic libraries. Information for participating libraries is on this page. How do I locate libraries to visit? Do you have to have a library card to participate? Nope, but please consider getting a card at your local library. If you visit a "non-participating" library, what do you do? Ask them to stamp your passport? Initial your passport? We suggest getting the library to date-stamp your passport or initial it. Are there other ways for me to share my explorations? We have a facebook page at facebook.com/vermontpassport and our hashtag is #vtpassport. Feel free to tweet to us @VLALib or tag us in Instagram photos. We are a committee of the Vermont Library Association. Here is our contact information.